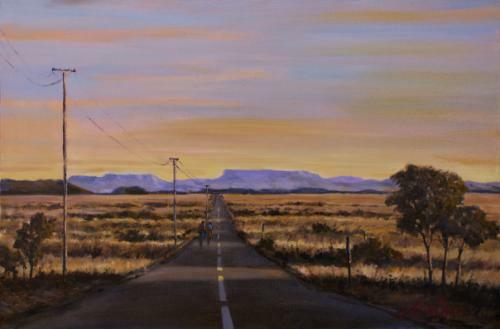 The Free State is situated on flat boundless plains in the heart of South Africa. The rich soil and pleasant climate allow a thriving agricultural industry. With more than 30,000 farms, which produce over 70% of the country's grain, it is known locally as South Africa's breadbasket. The province is high-lying, with almost all land being 1,000 metres above sea level. The Drakensberg and Maluti Mountains foothills raise the terrain to over 2,000 m in the east. The Free State lies in the heart of the Karoo Sequence of rocks, containing shales, mudstones, sandstones and the Drakensberg Basalt forming the youngest capping rocks. Mineral deposits are plentiful, with gold and diamonds being of particular importance, mostly found in the north and west of the province.